After the 12 hours on Sunday of pressing the cheese under 40 pounds of weight, Alex took over because I was fast asleep at that point. The recipe suggested this exact set up. A plastic box with a draining area to place the cheese (so it doesn't sit in whey); with a binder clip on the lip to keep the lid somewhat open for air flow. As I move ahead with the cheese making, I'm going to ditch all the plastic and go for glass or wood. Also the drying mat will soon become a bamboo mat instead of that awful plastic stuff. My challenge was finding somewhere that the cats couldn't get at it and where I could keep the temperature and humidity at the right levels. The answer? The oven. I put the oven light on for the photo, but I kept it off so the temperature wouldn't rise. It's kept good conditions so far and luckily we haven't used the oven! You can see that on day 2 of the drying stage, the cheese is starting to turn a little yellow. This is great! I took this photo this morning on day 3 and it's continuing to dry and turn yellow. This cheese requires a bit of babysitting. You have to flip and blot it twice a day and really keep an eye on the humidity and temperature. I mean, I'm an amateur without a cheese cave, so I'm doting a lot more than most would I think! 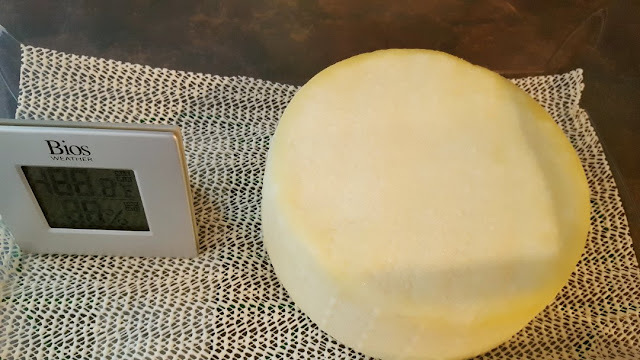 I am so happy because the cheese is drying really well and needs just a little blotting each day. I had a dilemna. 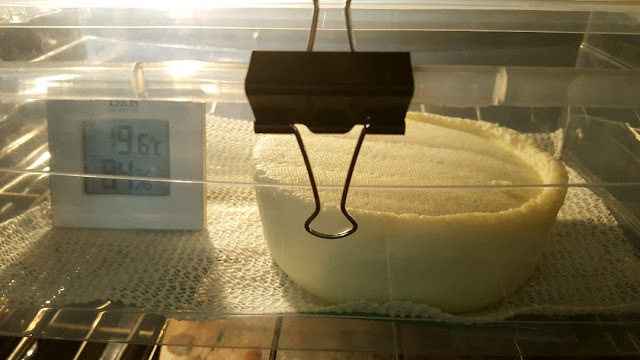 After doing a lot of reading, I realized that most aging cheeses need a constant temperature of around 10-12 Celcius during the entire aging process. Being without a cheese cave...and not trusting the basement conditions (or the mice! )...I was kind of downhearted, thinking my cheese aging would fail. But as I mentioned on my Garden blog, Alex offered his bar fridge to me. He uses this almost daily for his cocktail mixology. liqueur making and fruit aging...but he felt it was more important that I have the fridge for this. It was so wonderful of him; and I have renewed confidence that my Cheddar will age well! Add this to the other "surprises" needed to make Cheddar! My biggest challenge will be the humidity, which needs to stay around 85%. A lot of folks will rig their cheese fridge with humidifiers and wires and gauges...I'm NOT that handy! 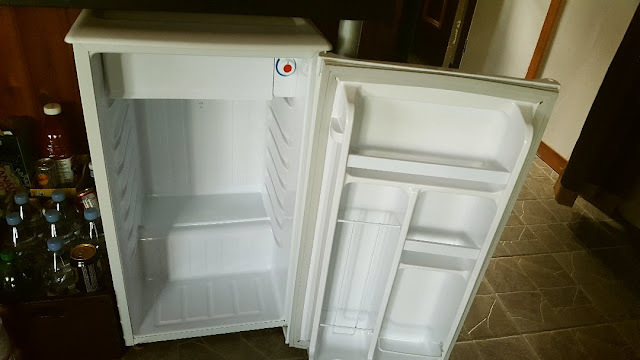 We emptied out and cleaned the little fridge and I'm going to turn it on today and find the right temperature. 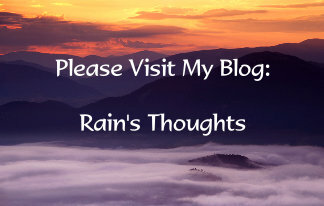 I'm also going to try putting a bowl with a sponge and water on the bottom to see if it will hold the humidity I need. 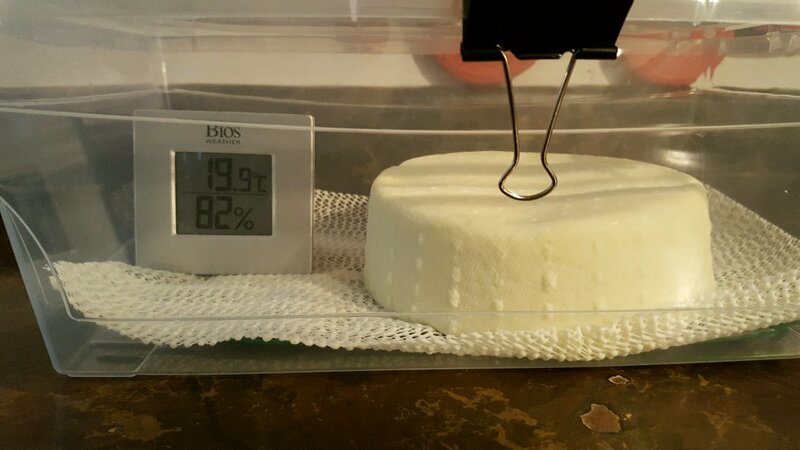 I also read on the Cheese Forum that someone successfully used a bowl of water next to a bowl of salt to hold humidity levels...it's going to be a challenge but I'm certainly up for it! I have 3 more days to get the right atmosphere for the aging process! Now with my renewed confidence...I've ordered some lovely bacterias so I can make curd cheese, cream cheese, Dry Jack, more Cheddar and some Pizza Mozzarella! Hi Rain, it's like a military operation that's coming together nicely. You'll be making you own bread and your own butter next. The next bit (keeping it at the right temperature) is going to be crucial .you look as though you've got that covered. Hi Terry :) You're so right...and honestly, without order in this cheese making process it feels like chaos. I already make my own bread!!! 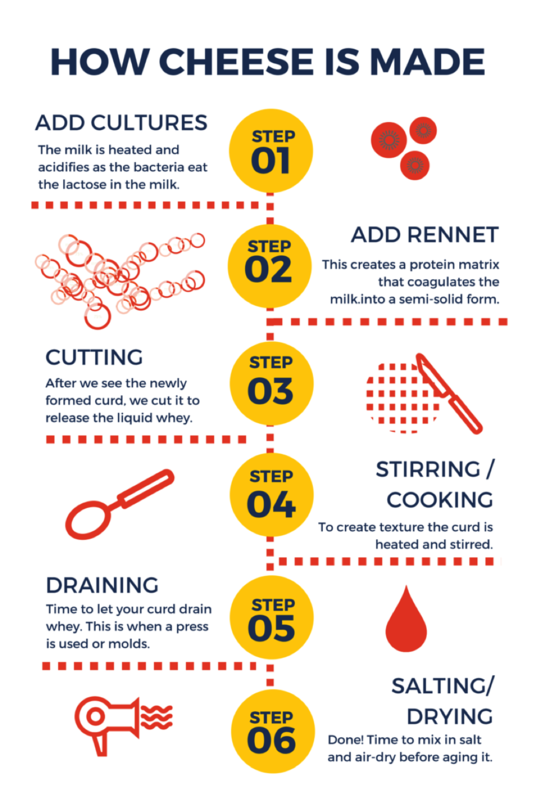 Butter though, I've never tried that yet, but I would like to, I found a good recipe for "cultured butter". With my order of new bacteria on the way I might have the right ingredients to try! That's another item that costs way too much in stores, we do use a lot of butter with our "comfort" way of eating! I think the temperature control is going to be okay...it's the humidity control that makes me uncertain, but I'm going to try a few things to see if I can keep the inside of the fridge at 85% humidity. 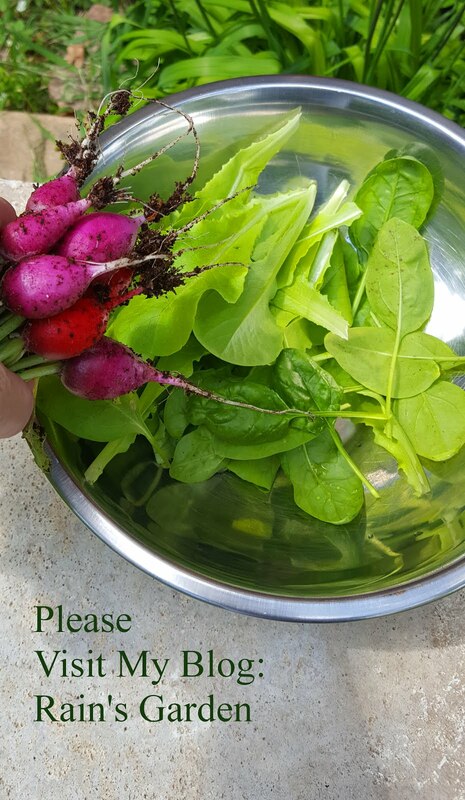 There are some tips I found online so I'll put those to work! I never realized how much effort is involved. It's pretty amazing how patient you are with all this. But I guess the end result is the big payoff! Thank you for being the "guinea pig" this is such good useful info!!! Hi Martha :) I admit, I do find the cheese making slightly overwhelming sometimes...but it's because I have to come up with all of these homemade solutions since I don't have the proper equipment and cave, but I'm learning and it's making me all that much more interested to up my game in the future! Hi Dianna :) Oh you're welcome...you know I wish I had a guinea pig to follow before I started!! But it's a great learning process at the same time!